Sophie Wang is an active concert artist and pedagogue. Recent engagements include a lecture-recital and masterclass in Novi Sad, Serbia in 2018, as well as her Carnegie Hall solo debut in May 2016. Other notable appearances include her European debut at the Internationaler Musiksommer auf Kulturverein-Schloss Rosenegg in Austria in 2011, shortly after her critically-acclaimed Taipei recital in 2010. Within the U.S., Wang has served as a clinician at the World Piano Pedagogy Conference; laureate of the MTNA Steinway Artists Competition in 2002 and 2004; and organizer-performer for Pianopalooza at the University of Cincinnati College-Conservatory of Music in 2013 and 2014. In 2002, she appeared as soloist with the University of Tennessee Philharmonic Orchestra in the rarely-heard Moszkowski Concerto. Last December, she performed the Beethoven C Minor Concerto with the Cincinnati Community Orchestra. Recent presentations include Music Transformed: The Piano Transcription and Its Evolution, A Walk on the (Earl) Wild Side, MacDowell: A Poetic Voice as Seen in the “Keltic” Sonata, and Worth A Thousand Words: Poulenc’s Musical Depictions in Les Soirées de Nazelles. 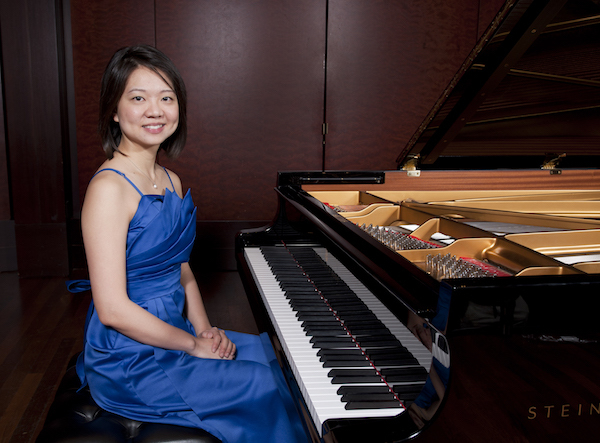 Concurrent with her performances and projects, Wang has held teaching positions at Gulf Coast State College, Florida State University, CCM, and Northern Kentucky University, where she served as Keyboard Area Coordinator. She joined the faculty of The University of North Carolina at Greensboro in the Fall of 2018. Wang received the MM from Florida State University and the DMA in Piano Performance from the Cincinnati College-Conservatory of Music.